This is not my direct turf per se, but thought perhaps it’s about time to make a few points with respect to the on-going spectrum soap opera back home (disclaimer: I AM Canadian too). Simply put; a major amount of chatter related to their upcoming auction of 700MHz and continued efforts by the Fed. to attract foreign investment in order to disrupt the current cozy strangle-hold by three well-established domestic players. For starters, strange that in all of noise, nobody seems to mention they’ve already been around the issue going back to original attempts in 2008 with WIND as prime example of major Intl. telco moving to challenge the Canadian incumbents? Egyptian telco Orascom claims 100M subscribers worldwide – about the same as Verizon Wireless – and noted their 2011 sale of 51% stake to Russian-based Vimplecom. Evidently that Intl. scale does not immediately lead to crushing new markets, as their combined efforts in Canada to-date have clearly demonstrated. Now the big three are howling, with additional heavy lobby from their friends, about chunks of that most valuable spectrum being set aside for new entrants and insist they only want a level playing field [.pdf]. However, the Ministry has made it clear that competition has (sic) lowered the average monthly bill for Canadians and will not budge on protecting the consumer voters. Meanwhile it’s not clear how such a small population market, combined with Huge land mass to cover, could support four viable players. I’m struggling to find a benchmark comparison on that position.. clearly, thanks Ofcom, the UK by both addressable market and country size does not count. To Be Perfectly Clear.. these airwaves – Globally – are a Public Asset. This ‘found income’ has enabled governments worldwide to level a new invisible Layer of Tax. While the official line about protecting consumers sounds nice.. it skims over that rather important fact. The last time I checked these operators are Not Mother Teresa and most certainly will pass along the spectrum acquisition fees to their subscribers, a cost of doing business, plus interest and management expenses of course. Various estimates on this upcoming auction forecast record bid value at upwards of $6 Billion, do the math on 30 Million people, at least partially based on supply/demand of offering only three blocks in each major market for the established players to fight over. In our domestic environment – Finally, a Japan angle! – the approach was to provide spectrum to the telcos at No Cost, as per logic noted above. Of course the regulators here have set, and as continued owners can enforce, strict contract terms for that right of way access. Another considered benefit of the local strategy was to in-effect free that cash for building networks, with mandated nation-wide coverage, in tight timelines. The result should be pretty clear: we have far lower average monthly bills, say -40% compared to Canada, and deployed LTE networks from late 2010 with so-called 4G access by all three carriers now including to the top of Mt. Fuji. It should go without saying – but will add here anyway: It’s a bit shocking that 3+ years after the infamous “Dumb Pipe” rant at MWC by then GSMA CEO Rob Conway.. it continues. By removing the ‘proposition’ of having the Largest (and/or) Fastest LTE Network claim to fame, as we take speed and coverage here for granted, the operators will need to Actually Compete based on price and service offering.. Ta-Daaa. According to SpiderMan; With Great Power Comes Great Responsibility. Managing the public trust does not mean selling to the highest bidder, while dumping the proceeds into general revenue, and pretending to protect citizens’ best interest. Taking that line one-step further; suggest an independent non-profit group, with strong academic and startup credentials combined, kindly ‘requests’ the Fed. to allocate a notable portion of income from this auction to fund the next generation of mobile business. A worthy investment for the long discussed, ever elusive, diversified knowledge-based economy. I’d subscribe to that – sign me up! It occurs to me there is potential eloquent solution for this mess..
1: The Govt wants to encourage competition by enticing new players to the space. 2: The Telcos just want a level playing field, and insist they are already competitive. 3: Subscribers – of course – would like to access to best offerings at lowest price. Lets note off-the-top here that the 700MHz spectrum really is the reason there’s so much at stake here, both by forecast of auction revenues and significant through-put efficiency, that the Fed. and Corps are all fighting about. Lets also accept that communication platforms are historically regarded and protected in best interest of society.. ie: CBC and the Post Office. 1: If the Ministry ‘really’ wants competition; then either (or hybrid of both) existing domestic “Channels” demonstrate public entities could serve this call-to-action opportunity. 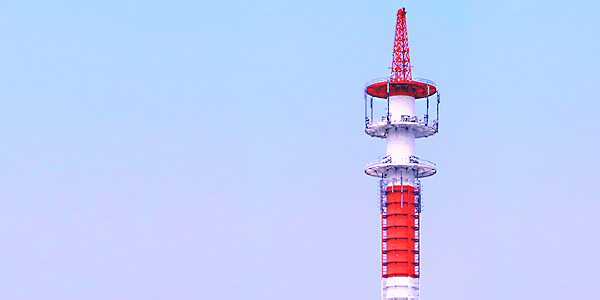 Therefore, as we see in other industries, a new crown corporation should be allocated All of the new spectrum, again at Zero Cost as per Japan logic noted above, and build a viable 4th player. 2: I understand the desire for incumbents to controls those air-waves, really.. I do. However, these attitudes appear increasingly ‘privileged’ in this current environment; where they now ‘expect’ taxpayers will subsidize for profit models designed, naturally, to benefit shareholders. Again, whatever telcos pay in highest bid at auction they will pass along to end subscribers plus costs. Great gig if you can get it. 3: Obviously IAM Joe does not really understand all this, they just want the best deal possible. Rather doubtful most folks grasp the fact they already own the spectrum, and that by selling it they will end up paying, plus profit, for something they already owned. A bit easier to imagine what citizens would say if the deal was about selling the Trans-Canada highway to private interests.. who planned to set-up a toll road in order to recoup their investment. So, if the Fed. wants a 4th player; then give that platinum 700MHz band to a new Crown Corp. charged with serving the public good. By removing upfront costs to acquire airwaves which taxpayers already own, that public entity has good head-start on building national network. The telcos ‘already compete’.. Ok then.. ’nuff said. As they have a level playing field now – hence these sudden hard feelings about future plans – suggest leave it at status quo for the time being to consider best ways forward by taking All Sides with vested interest into account. We see public vs. private offerings in legacy media and courier space.. why not telecom? Ya, I know this won’t happen, sadly the media has not raised ‘Blind Tax’ topic of selling spectrum or noted setting aside revenues for next-gen. players either. Sigh, TGIF.. Fire-up the BBQ.